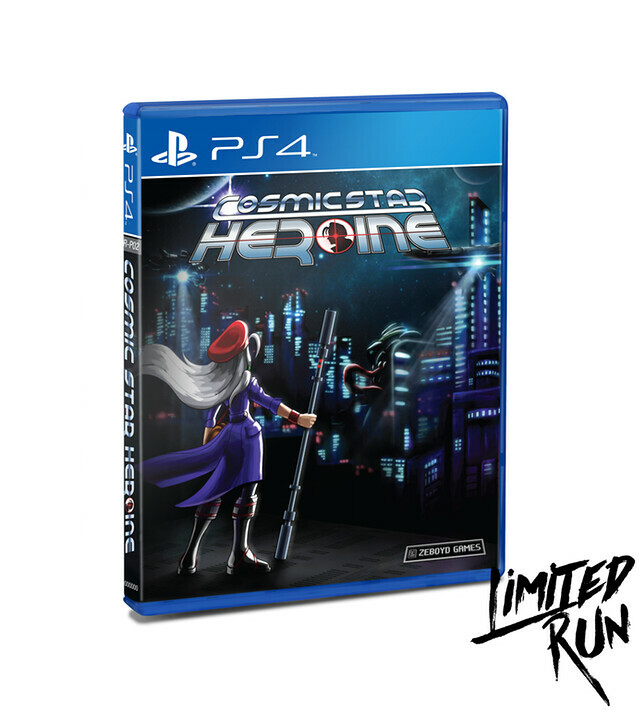 We’re pleased to announce that Cosmic Star Heroine is scheduled to release this summer for PlayStation 4 and PlayStation Vita. $14.99 will get you a cross-buy version full of hours of turn-based RPG goodness! We’re also excited to share the first full-fledged trailer for the game! Make sure to have your speakers turned up for the full effect! In addition to the main release on PlayStation Store, we’ve also teamed up with Limited Run Games to do a physical run of the game for the collectors out there. 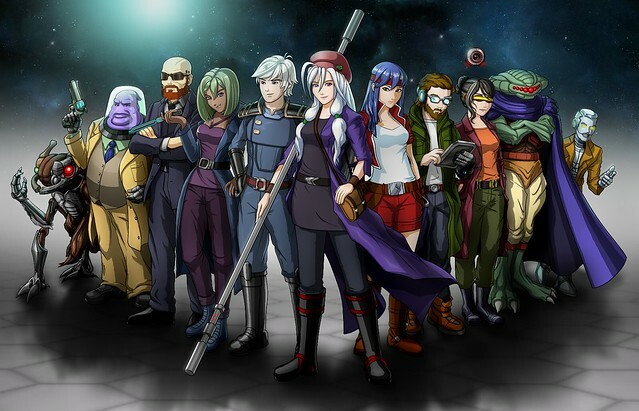 We’ve been working on Cosmic Star Heroine since 2013 and are excited that you all will soon have a chance to experience it yourselves. We’d like to thank our Kickstarter backers, Shane Bettenhausen and all the wonderful people at PlayStation, Chris Geehan and Dan Byrne-Mccullough at HyperDuck for the amazing soundtrack, Laura Shigihara for her help with a very special song, James Hearn and Angelo DeGrandis from LogicHole Studios for putting the trailer together, and everyone who has helped us on this journey. Uncover conspiracies, travel to exotic planets, fight unspeakable evil, and save the galaxy! Look forward to Cosmic Star Heroine, coming to PlayStation 4 and PlayStation Vita this summer! I have been waiting two years for this game to come out and I am super excited! Awesome news guys! And after watching the trailer, I’m intrigued as well. Day 1, both physical & digital. Where can i order a physical copy of this ? I’m with you and can’t wait. I’d never heard of this until a few weeks ago when this trailer came out and now I’m pumped. Phantasy Star is my favorite RPG series ever and I loved Chrono Trigger so a hybrid of the two is a must buy. Just need a release date and when I can go pick up the physical copy. For literally no reason, I’ve put off playing this game. I guess this is why… Cross buy? Brilliant! Since it was announced for PS Vita, I’ve been very looking forward to this game. I’m sure it’ll be great. I’m just wondering whether the Vita version will be released at the same time as the PS4 version, and whether the Vita version will also have a limited physical run? Final question: Will the Vita version be compatible with the PSTV? I can’t recall seeing them mention anything about it but since it’s a turn-based RPG I would think it’d work with the PSTV with no problems. And yes, there will be a physical edition for the Vita version as well. Absolutely cannot wait for this one. Great trailer. I have one question: Europe? Sorry, meant to ask earlier. Will the physical version be up for pre-order? Plus if so where and when? The physical version will be sold through the Limited Run Games website. Going by the Saturday Morning RPG physical release (the last LRG release I paid attention to) the physical release might be about $30. They make a limited quantity of copies and sell them in 2 batches, the first batch usually sells out in no more than 5 minutes. They don’t do pre-orders. Follow them on Twitter @LimitedRunGames and they’ll tweet out when they’re going live. Oddworld New n Tasty was also sold in Best Buy. Guessing we are not going to be that lucky for this one though. Ah. That only applied at shops in Cary, NC which I sometimes go to for work. Thanks to those who replied now I know where to look for this. I really want to support games like this. I think good, classic jrpgs are a dying genre. That I’m weird I like having the physical case/disk for my games. Been waiting 2 years for this on the Vita :) Thanks for sticking to your guns! Will the physical release include a code for cross-buy? Glad I looked through the comets because that’s exactly what I was about to ask. I miss the days when Sony first first started cross buy and you could get a physical PS3 game with the Vita code inside. I backed this game on Kickstarter back in 2013. It’s been a long wait, but this trailer makes the wait worth it. Omg this looks so amazing. Reminds me of Phantasy Star, which is a great thing! Anything that is described as a Phantasy Star + Chrono Trigger love child is an auto buy for me. Holy crap. THIS IS AWESOME!!!!!! 3. I noticed there’s no voice acting in the trailer. I assume this will be the case in the final game, like a classic (J)RPG? Hey! So my name is Chris Geehan, I’m one of the guys from HyperDuck who wrote the soundtrack and the sound design for Cosmic Star Heroine. Wanted to just CONFIRM that you will be able to buy the soundtrack (or just stream it and enjoy it) from other sources that are not Playstation devices. We plan to release some physical versions as well, but more information on that in the near future. Cheers and thanks for the love! Oooh yes!! 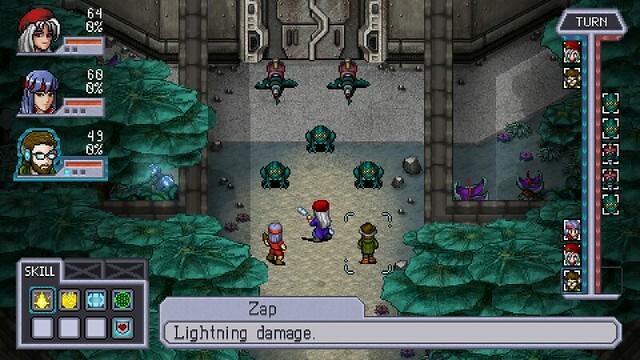 I wish I could have backed Cosmic Star Heroine. I’m so getting the physical version, if it is available. Thanks for the news, everyone! Will Limiten Run be selling a physical Vita version as well, or just PS4 version? They’ve only announced a PS4 run so far. Might be like Volume where depending how that run goes they’ll consider a Vita version. Physical Vita edition as well. Day one buy for my Vita. Really looking forward to it! Yes! Cross save too I hope. Soundtrack? Cross-save isn’t in yet, but I’m going to try to get it working. HyperDuck is planning on selling the soundtrack separately. This is so cool i’m so buy this. It been a long time waiting for this. Can’t wait…will be getting the Physical version if I can make the line. Impressive, looking forward to this. Reminds me of Phantasy Star! Nicely done! Cross-Buy is for digital only, right? Not physical? It looks so good. Thanks for doing it in the 16 bit artstyle and not the 8 bit. I much prefer it. I wish you guys could bring your Penny Arcade games to the Vita. I never played the fourth one. Well for those always looking for a PS Vita game there you have it nothing to cry about now. Well, I know what I am picking up. This looks really good. Amazing! Great job and congratulations! Day 1 buy for my vita. Does it have a platinum trophy? Will the ps4 physical copy comes with a vita download code? This game looks awesome. Will the game have 20-30+hours of gameplay? Will there be a platinum trophy? Could you guys release the game digitally bundled with a cool dynamic them with the games theme in the background? Keep up the great work. Will the Limited Run version come with a CD soundtrack? Had not heard of this game before, but it looks fantastic. Definitely on my list. My Vita thanks you. Day 1 purchase from me! Where do I purchase the physical copy? I do not see a pre-order on amazon or anywhere. The physical copy is being sold by a company called Limited Run Games. They only sell a small # of copies and they open it up at predetermined times. It’s hard to get physical copies this way but they truly are collector’s items. Try googling them for their site.